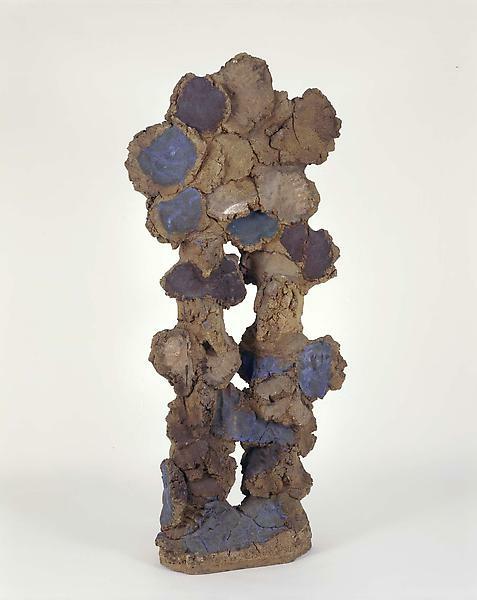 67" x 30" x 13"
A pioneering ceramicist affiliated with the Otis Clay Group and a student of Peter Voulkos, John Mason was born in 1927, in Madrid, Nebraska. When he was a child, his family moved to Nevada, and the color palette and texture of the Nevada desert had an important impact on his work as an adult. At the age of twenty-two, Mason moved to California. He attended the Los Angeles County Art Institute (now Otis) from 1949 to 1952 and the Chouinard Art Institute from 1953 to 1954. 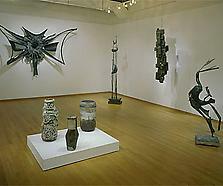 In 1955, he returned to Otis, and met Voulkos, who had been hired while he was away. 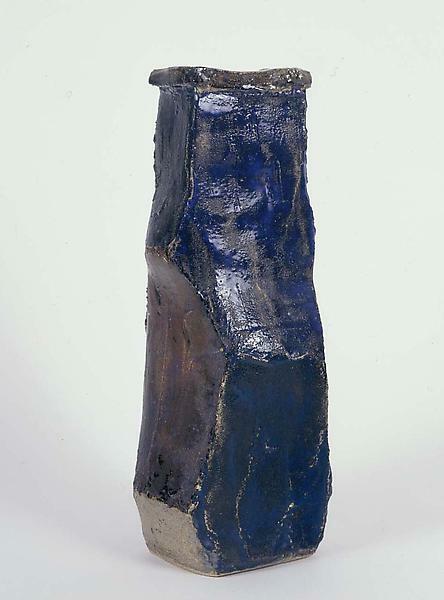 Voulkos, who ran his classroom like a studio, working alongside his students and allowing them room for individual exploration, had a tremendous influence on Mason, and the two artists became friends. From 1955 to 1957, Mason held a job designing ceramic dinnerware for the Vernon Kilns in LA. During this time, his own work diverged from the scale and functionality of the flatware he designed to support himself. Mason began creating large-scale towers and wall reliefs whose size and texture echoed the monumentality and gestural brushstrokes of abstract expressionist painting. † ‑Jeremy Adamson, “John Mason,” KPMG Peat Marwick Collection of American Craft: A Gift to the Renwick Gallery (Washington, D.C.: Renwick Gallery, National Museum of American Art, Smithsonian Institution, 1994). http://nmaa-ryder.si.edu/search/artist_bio.cfm?ID=6278 (accessed July 2009). ‡ Kathy Zimmerer, “John Mason,” http://artscenecal.com/ArticlesFile/Archive/Articles2000/Articles1100/JMasonA.html (accessed July 2009).